The BB Long Nose Beam Clamp is very similar to the standard type BB but with an extended nose. 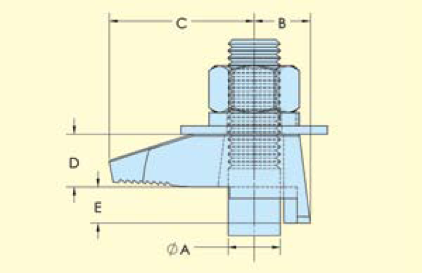 This distributes more contact on the flanges of parallel beams providing contact closer to the web. Packing pieces BH1, BF1 and BG1 can be used with this product to make it fit to various thicknesses of steel at 90 degrees.